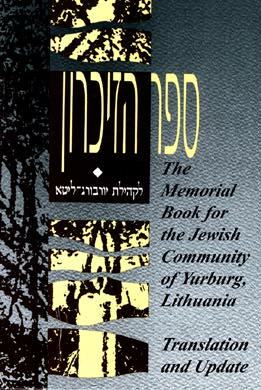 Published by Assistance to Lithuanian Jews, Inc.
Did your family come from Yurburg (Yurberig), Lithuania (Jurbarkas in Lithuanian) or nearby? Would you like your children to be able to learn the history of the town where their grandparents and great-grandparents came from? Do you want to discover the history of this vibrant community, typical of Jewish shtetls of Lithuania? You are invited to order this book at a special price of $50 per book.